William (Will) Hopoate also known as Viliami in Tonga, is a professional rugby league footballer for the Manly-Warringah Sea Eagles of the National Rugby League (NRL), an Australian professional rugby league club based on the Northern beaches of Sydney, Australia. 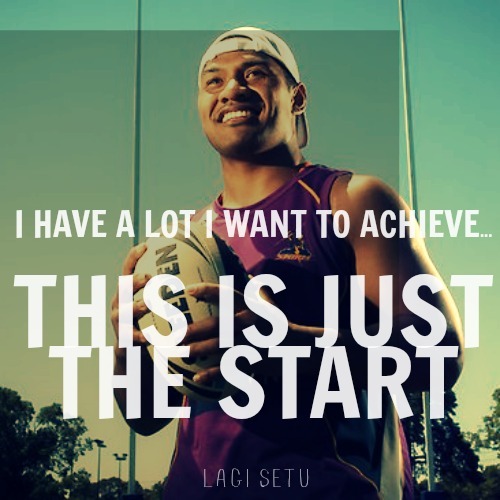 He was born on 9 May 1992, and is the son of former Australian international, John Hopoate. Will is Australian-born and both of his parents are Tongan. He is also a member of The Church of Jesus Christ of Latter-day Saints. Will joined the Manly-Warringah squads in 2009 at the age of 16 and played the entire year in the Sea Eagles Toyota Cup. He primarily played the position of fullback, but he has also played wing and center. Other than his physical size, speed, strength and general play, he has shown none of the “bad boy” habits which saw his father often on the sidelines and eventually suspended from the game. He has also represented the Australian Schoolboys team. On 5 June 2011, Will was selected to play State of Origin for NSW in Game 2 against Queensland at ANZ Stadium. He is the second youngest player ever selected to play for NSW, and scored a try on debut helping NSW level the 3 game series at one all with an 18-8 win. Will is a NSW State of Origin three-quarter back, but he has also represented NSW City. 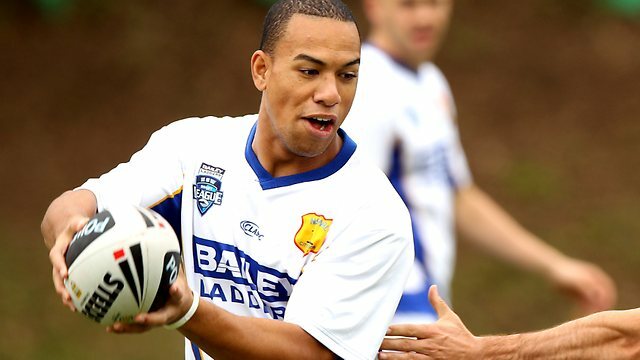 In Round 3 of the 2011 NRL season, Will scored his first ever double against the Newcastle Knights at Brookvale Oval. He was part of the Manly side that defeated the New Zealand Warriors in the 2011 NRL Grand Final where he was denied the opening try but did produce a miracle flick pass that sent Glen Stewart over the line for a crucial try in the second half. 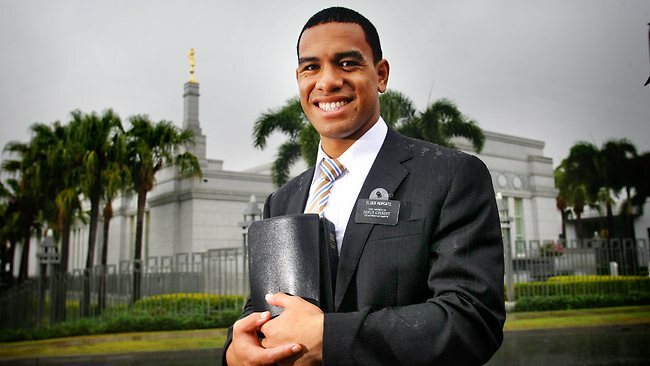 Turning down an impressive offer of $1.7 million to play professional rugby, William Hopoate has decided to answer a much higher calling on his life – to teach the gospel of the Lord Jesus Christ. Everyone is entitled to their freedom of choice. Whether they accept or reject the message is out of our hands, we’re just there to let them choose. We go around to share a message to people about what has blessed not only our own lives but our families, too. We simply want to share this message of hope and love with others. Will is into the sixth month of his two-year-mission. His decision to put faith ahead of fame, God against the game, made headlines last year, For every person who applauded his commitment, others openly questioned the wisdom of putting his career – and a $1.7 million, two-year deal with Parramatta – on hold. William Hopoate would have made Australia’s Four Nations tour squad if not for his impending mission. He will join Paramatta Fels in the NRL at the end of his mission in 2014. For now, like Nephi of old, Elder Hopate is on the Lord’s errand, and as such, his mind is made up to go and do those things which the Lord commands.